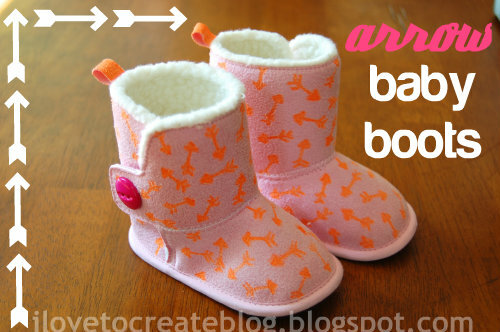 Baby boots have been something on my list of things to make my new little baby girl. However, while walking the aisles at Michael's the other day I saw they had some there for only $7 (and less if you use your coupon). That saved me a lot of sewing time. They were right next to all the I Love to Create products and I thought they'd be really fun to embellish. 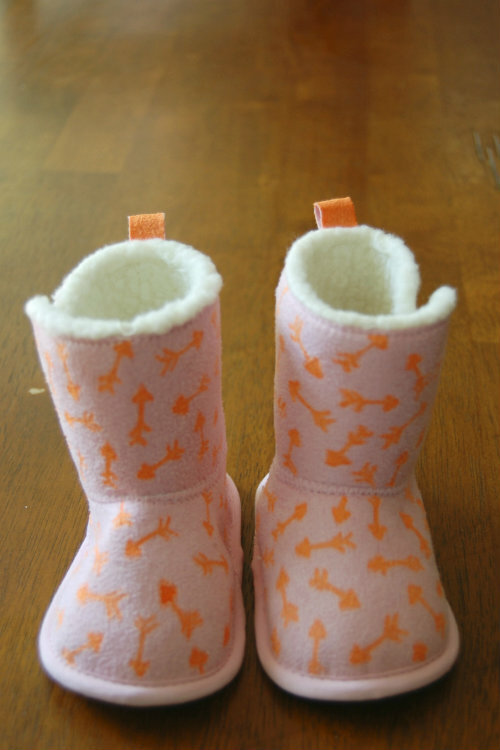 So, I play off the recent trends of neon and arrows and turned them into these little arrow baby boots. 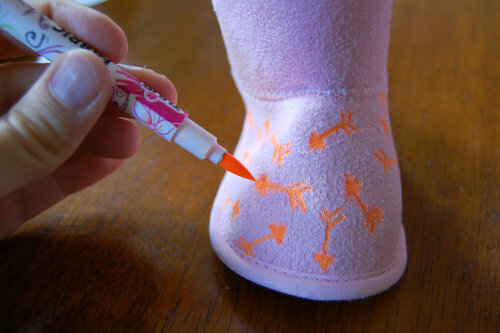 First off, I sketched arrows all over the boots in different directions. Arrows are pretty easy to draw and the pattern doesn't have to be perfect. I covered the entire boot in arrows and even colored the little loop in back orange. 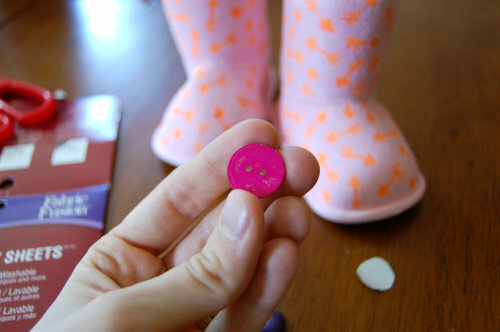 After adding the arrows I thought a button on the flap that closes the boot would be cute. The boots already velcro, so the button is purely for looks. I used Aleene's Peel and Stick Sheets to apply the button. I cut a circle out the size of the button and peeled off one side. I applied it to the back of the button. 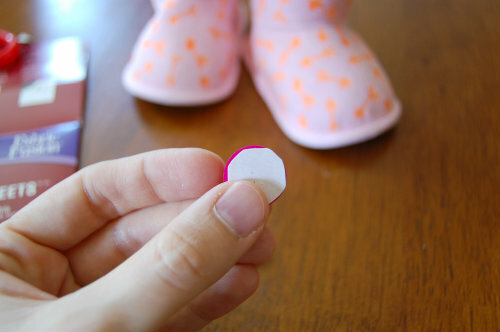 Then I pulled to backing off (you can kind of see the dry adhesive on the back of the button) and stuck it on the boot. 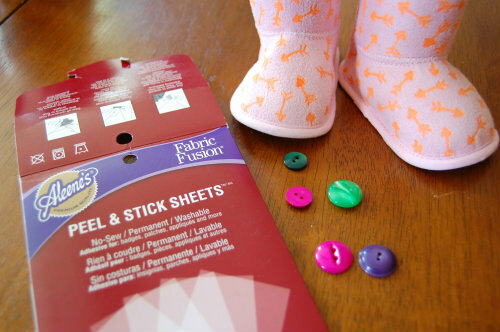 I love Aleene's dry adhesives because there's no mess and no waiting for things to dry. 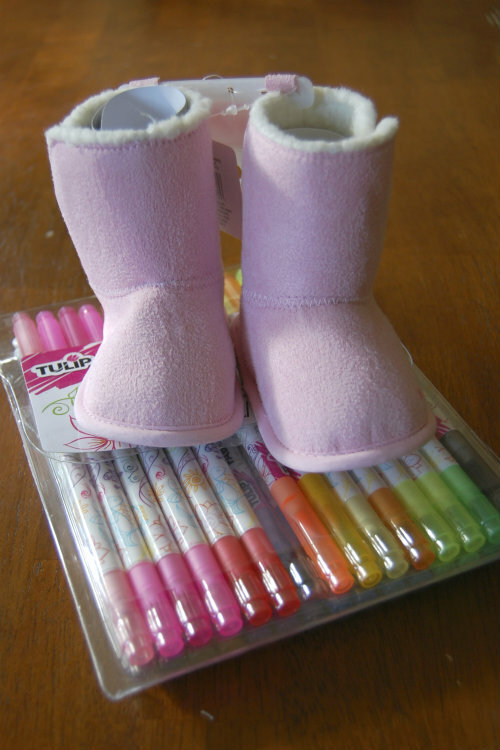 And now we have fun, colorful, one-of-a-kind boots for my little lady. I can't wait until they fit her. Adorable! I love the pink and orange together! You know people are gonna stop you and ask where you got those!